With the Windows & Mac OS X native integration, iCoordinator™ sync all the files securely and automatically between the desktop and the online iCoordinator™ folders. By installing the desktop application, users can simply save the files within the iCoordinator directory on the computer and get it synced between the online folders. 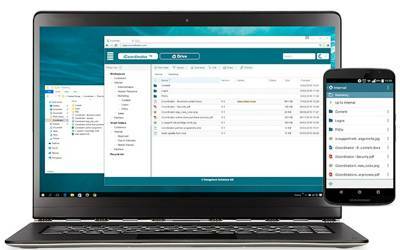 The integration with the native file explorer allows users to have the files available offline to work with while they are not connected to internet. The files get synched automatically the moment they are connected back to internet ensuring that the latest files are available online. With the unique concept of Portal and Workspaces iCoordinator™ offers businesses to have cloud-based secure portals to store all their business data. Within the portal, the storage areas are further divided into workspaces followed by folders and files with own access rights. A workspace can be represented by a department in the organization, an area for a customer, a place for suppliers or a group within the department. With the provision to have portal and workspace groups, users can collaborate with different groups within the portal or workspace in an easy way. Access permissions for users can be easily configured for a workspace and read, edit permissions can be granted to a particular user or a group for a folder and down to the file level. 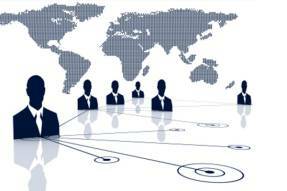 This makes the collaboration between the different user groups within the business easy and secure. With support for viewing more than 300 types of files, arranged in a familiar structure for easy navigation and access possibility from different devices, businesses can create, store, share and collaborate on files in a secure way. Organize and manage your files effectively with labels and Smart folders. Having the ability to add labels to files and folders and generate different file listing views through Smart folders, iCoordinator™ allow users to easily categorize and organize files. As the Smart folders acts as the virtual folder and with the right labelling, files can be routed and organized automatically to a designated folder. 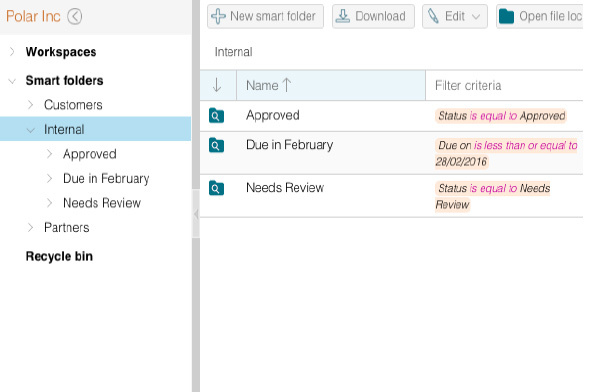 For example, by using a simple label of “Reviewed”, all the reviewed files can be automatically generated within the Smart folder with that label criteria. This enables to have easy workflows where documents that are associated with particular labels can be automatically routed and presented to the users in Smart folders. 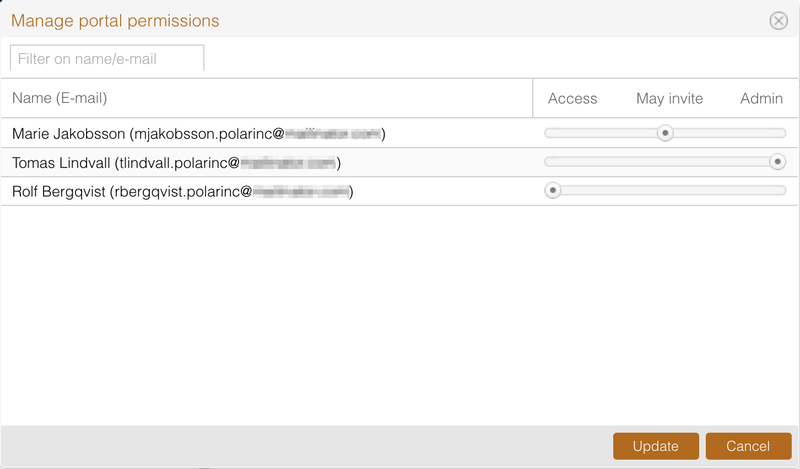 In order to make the file management easier iCoordinator™ allows users to add files to a particular workspace or a folder on the portal by sending over email. 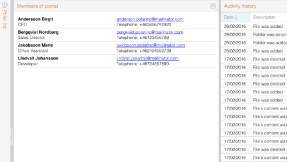 The unique and highly secure email links specific to a user and the folder can be obtained from the iCoordinator™ web interface. 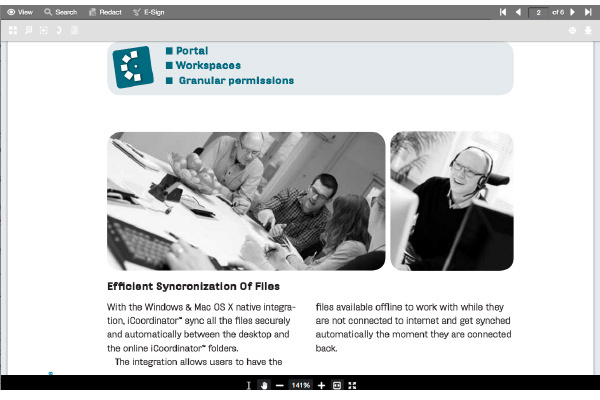 iCoordinator™ enables effective collaboration between the internal as well as external users. One of the key aspects of iCoordinator™ is to enable effective collaboration between the internal as well as external users associated with the business. 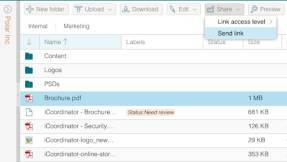 Business users can easily upload files, organize them into folders, share link of the files to other users. With file level read & edit permission settings, only the permitted users will have the possibility to read or edit the files. 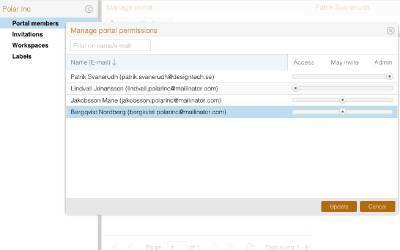 Users can quickly share a link with the external users who are not a member of the portal. Provision to make the link access level to anyone with the link, portal members or only to the author, gives further control on what is shared and who can see the shared file. 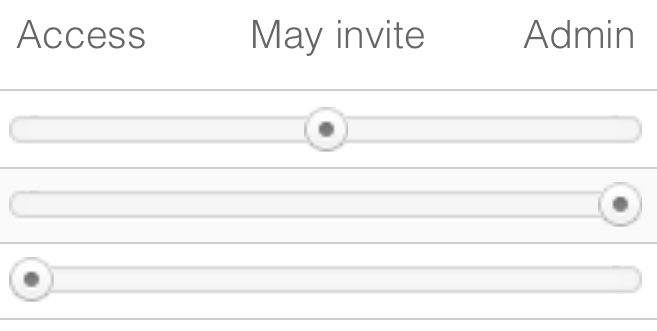 Access to a portal is strictly restricted via invitation. With different level of permission for read and edit on a user as well as group level, business can ensure that individual users and groups only see what they are allowed to. The availability of files on the Mobile devices provide users access to the files any time and the possibility to share them while they are travelling or on the field allowing them to collaborate with others any time. iCoordinator™ enables business to take control of their content. iCoordinator™ enables business to take control of their content in many ways. Granular level permission makes sure that only the relevant users see what they need to see. The audit trails of the file events and permission changes ensure that the administrators can verify the folders and files that are added and modified on the portal and any of the permission changes. As far as the individual user is concerned, the files can be locked preventing from any further changes. The automatic version control ensures that the user is working on the latest version of the file, but never lose an earlier version if the user needs to go back. 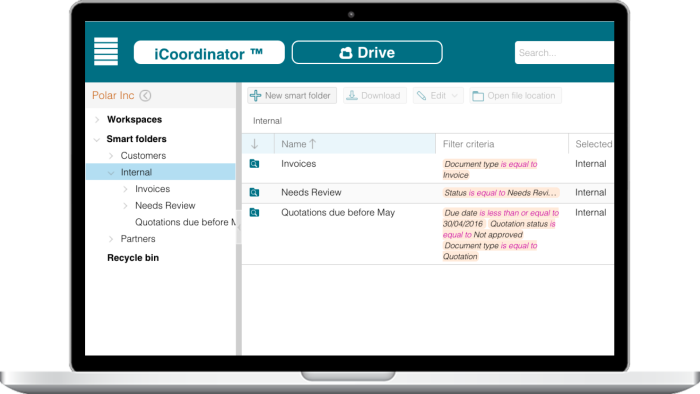 iCoordinator™ is built specifically addressing the file management needs of businesses. 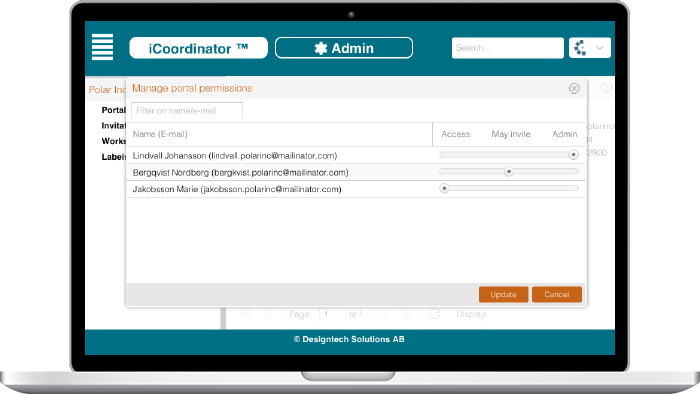 iCoordinator™ is developed based on the increasing need from businesses to support enterprise level of permission control, meta data possibilities in organising files with labels and smart folders and emailing of attachments directly to folders within the EFSS solution area. iCoordinator™ allows businesses to take control over sensitive business data while meeting secure storage, easy accessibility and collaboration needs of users. In order to ensure that all sizes of business can utilize the solution, iCoordinator™ comes in three different editions, namely Basic, Business and Enterprise. iCoordinator™ allows business to scale up quickly without the need of buying new hardware, additional storage or software. Whether the users are using Mac, PC or Mobile, iCoordinator ™ provides a consistent experience for all throughout these devices. Every team in the business is kept in synchronized while providing the robust security and the features that business need to manage them easily. The Enterprise edition can be further tailor made to specific needs of a business including external user connector where businesses are allowed to connect with unlimited number of external users for a fixed fee.